The ferocity of the political conflict within the US state apparatus is reaching a new and critical stage. The Trump administration is openly at war with significant sections of the intelligence apparatus, while top figures within this apparatus are making ever more direct calls for the removal of the president. On Friday, after weeks of urging from Trump, Attorney General Jeff Sessions fired the former deputy director of the FBI, Andrew McCabe. McCabe stepped down as deputy director in January, after months of attacks from the Trump White House, and was using accrued leave to continue nominal employment until Sunday, when he would reach age 50 and be eligible to retire. Instead, Sessions seized on a passage in an unfinished report from the FBI inspector general, suggesting that McCabe was guilty of misconduct by leaking information to the press about the FBI’s investigation into the Clinton Foundation during the 2016 election campaign. Given that Brennan has spent more than 30 years planning, organizing and carrying out the covert operations of American imperialism, his threats against Trump should be taken with extreme seriousness. A large section of the US military-intelligence apparatus sees no alternative but to push for the removal of Trump from office, whatever the procedural obstacles, and it has the backing of the Democratic Party. The speed with which Sessions moved to oust McCabe under the most humiliating circumstances testifies to the vindictive bitterness within the highest echelons of the capitalist state. It demonstrates as well the nervousness in the Trump camp over the increasing pressure from the investigation into alleged Russian interference in the 2016 US presidential election, being conducted by Special Counsel Robert Mueller. In just the past week, Mueller has subpoenaed records of the Trump Organization, the business entity that manages Trump’s billion-dollar real estate and branding empire, now under the direction of his sons Donald Jr. and Eric, reportedly focusing on financial ties to Russian investors. Mueller has also sent a list of questions to the White House, another step towards a proposed interrogation of the president himself. One of Trump’s personal attorneys, John Dowd, followed up the McCabe firing with a statement urging Sessions and his deputy, Rod Rosenstein, to bring the Mueller investigation to an end immediately. Trump chimed in with a tweet that for the first time denounced Mueller by name and called his investigation a “witch hunt,” leading to press speculation that Mueller himself might be the next top official to be fired by the president. There is no recent parallel for statements and actions such as those of the past three days. One would have to go back to the period before the American Civil War to find equivalent levels of tension, which in the late 1850s erupted in violence in the halls of Congress before exploding in full-scale military conflict. Unlike the period before the Civil War, however, there is no progressive side in these conflicts. Trump and Brennan represent equally criminal factions of the ruling class, divided over foreign policy, particularly in the civil war in Syria, and more generally towards Russia. 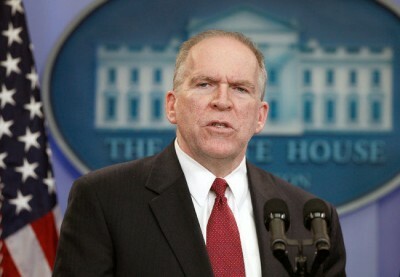 Brennan and the Democrats speak for powerful sections of the military-intelligence apparatus embittered by the failure of US intervention in Syria and Trump’s apparent abandonment of the Islamic fundamentalist groups armed by the CIA to fight the Russian and Iranian-backed government of President Bashar al-Assad. They want to push further into the Syrian slaughter, regardless of the risk of open military conflict with Russia, the world’s second strongest nuclear power. The latest manufactured provocation, spearheaded by the British government, over unsubstantiated charges that Russia was behind the poisoning of a Russian double agent living in Britain, is being used to vastly intensify the drive for war. Trump and the Republicans are equally committed to the interests of American imperialism around the world, but are focused more on Iran and North Korea (and behind it, China), and less on an all-out confrontation with Russian President Vladimir Putin. Trump has his own factional supporters within the intelligence agencies and is seeking to consolidate a personalist clique around him, as evidenced by the elevation of CIA Director Mike Pompeo, a former Army officer and congressman, to replace Rex Tillerson as secretary of state, and his promotion of deputy CIA director Gina Haspel, with a record as a torturer, to head the spy agency. The intensifying conflict within the US ruling elite comes against the backdrop of a growing movement in the working class, which threatens the interests of all factions of the corporate-financial oligarchy. In the aftermath of the nine-day strike of West Virginia teachers, educators throughout the country are calling for and organizing walkouts. Any struggle that succeeds in breaking free from the stranglehold of the unions will unleash a flood of working-class anger and opposition. It is this coming together of a movement from below and a bitter struggle at the top that gives the political situation in the United States such an explosive character. It is necessary to make a warning: the working class must put forward its own independent perspective. It has no allies in either faction in Washington. In the event that one faction or the other prevails in the near term, this would not represent a triumph of democracy. The return to power of the Democrats would only cement their role as the party of the CIA and the Pentagon, as demonstrated by the powerful role played by “former” CIA and military intelligence agents as Democratic candidates in the 2018 congressional election (see: “The CIA Democrats”). Moreover, as the working class comes into broader struggles against the profit system and the capitalist government, both factions of the ruling elite will see the threat from below as the main danger facing the financial aristocracy. It is the Democrats, channeling the intelligence agencies, that have played the leading role in demanding aggressive measures to censor the Internet and suppress “divisive” opinions and political tendencies. The critical question is to establish the political independence of the working class from all sections of big business, Democratic or Republican, and to recognize the institutions of the capitalist state—above all, the repressive military-intelligence apparatus—as the main danger to the democratic rights of working people.